OLIO DI LUNA is vegetable oil and wax emulsion based impregnator that provides a pleasing aesthetic appearance and offers protection against stains to wooden services as well as simple maintenance. Available in different colours to obtain unique effects. Tung oil, boiled linseed oil, propolis fluoride copolymers, wax and resin emulsions, essence and water. OLIO DI LUNA is suitable for different species of wood both old and new and is suitable for both flooring and internal structures. After application of the product, the surface will have a soft and lightly toned appearance. Mix well before use, (in coloured products, be careful not to leave deposits on the bottom). Work at temperatures higher than +10°C. Apply a first coat of OLIO DI LUNA with a paintbrush or waxing fleece with movements that are parallel to the grain of the wood. Wait at least about two hours. Use 320-400-grit sandpaper or SPP disk, to smooth the wood, on brushed boards the use of green or red Scotch-Brite may be sufficient lastly clean the surface. Apply a second coat using the same method. In the event of slight grain raise run a Scotch-Brite red disk over the surface. 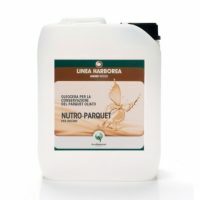 Wait approximately 2 hours (depending on the temperature) and apply the last coat adding INDUR K-33 additive (see file) in the amounts recommended. For the application of the coloured versions it isn’t recommended to do it on the floors already laid since it can create overlaps and/or contrasts of colour. 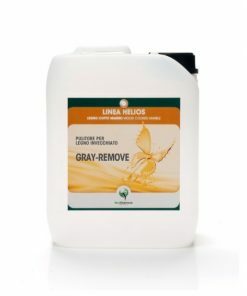 OLIO DI LUNA may be supplied in various colours that may be used as first and/or second coat, while the last coat will be neutral. 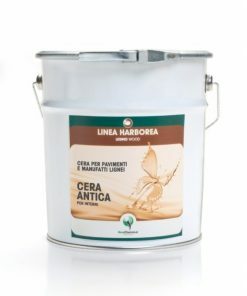 In case of the application of white colour we recommend to add to the last coat of the product at least 10% of Olio di Luna (used before). To achieve pickling we recommend that the first coat be coloured, second neutral; third coat with coloured Creola and the fourth coat with neutral Olio di Luna with Indur K-33. After the 1st and the 2nd coats of Olio di Luna the treatment can be completed with Primo Legno (our varnish). For those who wish to obtain a fuller appearance on floors a coat of LINFOLEGNO, LINFO-OPAX or RILUX can be applied. Always run some test applications before applying it to the definitive surfaces. • Formulated with raw materials from plant and animal origin. 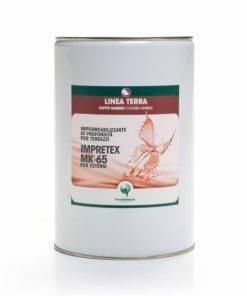 • Added with propolis solution for its bacteriostatic, bactericidal and fungicidal properties. • Suitable for different species of wood. • Biodegradability greater than 90%. • Maximum effectiveness after 5-6 days. • It provides a satin and waxy final finish. TIME OF REACTION: 6 days. YIELD: Relative to absorption, approx. 18/24 sqm/lt per coat. SPECIFIC WEIGHT (20° C): 1,015 KG/LT. VOC (Directive 2004/42/EC) : Minimal build wood stains.